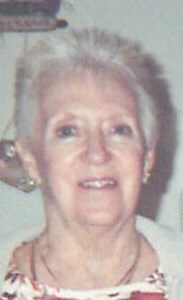 Charlene L. “Nana” Morrison, 80, of Phoenix, passed away on Wednesday at Crouse Hospital surrounded by loving family. Charlene was born on October 8, 1938 the daughter of the late George and Betty Rumsey. She retired from Liverpool School District. Nana’s favorite holiday was Halloween. She enjoyed her family, camping, cooking and was an avid NASCAR Fan. Charlene is survived by her children, Candee (James) Wheelock, John Morrison, Tina Morrison, 10 grandchildren, 11 great grandchildren, and sister, Patricia. She was predeceased by her brother / best friend, Ronald Rumsey. To share a memory of Charlene or leave a special message for the family, please click the Share Memories button above. Add your memories to the guest book of Charlene Morrison. R.I.P. u will forever greatly be missed by so many aunt charlene. I miss u so much. U finally get to rest in peace. Fly high sweet angel... Until we meet again. I love u.
Char was such a wonderful person for so many people. We knew her for over 25 years. Last saw her with her little scooter in Walmart. She will be missed dearly (Go Nascar). RIP, never forget...Brian, Geri, and Branden Darby. Our hearts are sad for you. Your mother was a great friend. My mother, erma spoke with char every day. They would brighten each others day and share memories from long ago. They had become a part of each others day for many years. She will be greatly missed. I will remember the times she cheered my mother up when she wasn't feeling well. They inspired each other to get through their trying times. My mother has been blessed to have such a wonderful friend as char. May God be with you in your time of sorrow. I will always remember Aunt Char’s laughter and joking. See was alway a treat to visit with at my grandmothers. Theses where special memories for me. RIP Aunt Char I will miss you.